Lamar Advertising Co. is filling in some blank spots in its national billboard network by acquiring a number of smaller billboard companies, including substantial acquisitions in California and the Southwest, Lamar executives revealed during the company’s second-quarter earnings conference call. The “in-fill” acquisitions, with a price tag totaling $24 million, include local companies like Empire Outdoor, which owns hundreds of roadside billboards in Riverside, San Bernardino, and San Diego counties, as well as in the L.A. metro area and the Inland Empire region, extending to the Nevada and Arizona borders. Many of the billboards are located on heavily traveled roadways like Interstate 10, 15, and 215. That particular acquisition was completed in June. It is expected to add up to $3 million in annual billboard advertising revenue to Lamar’s bottom line. Similar acquisitions of local billboard companies were made in other parts of the country, although Lamar did not provide specifics. 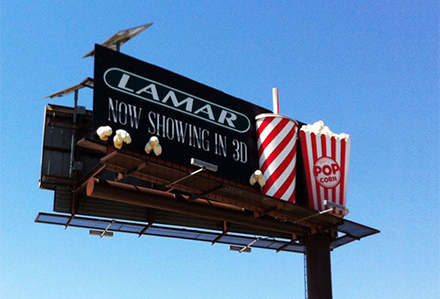 Overall, Lamar currently controls over 178,000 out-of-home advertising displays around the U.S., including 144,000 billboards, 1,700 digital displays and 34,000 transit advertising displays. During the call, Lamar revealed that total revenues increased 6.5% from $304.9 million in the second quarter of 2012 to $324.7 million in the second quarter of 2013; excluding the impact of recent acquisitions, total revenues increased 2.7%. The company’s leadership continues to consider transforming the company into a Real Estate Investment Trust for tax purposes. Competitor CBS Outdoor is in the midst of transitioning to an REIT. The original article appeared on MediaPost.com. 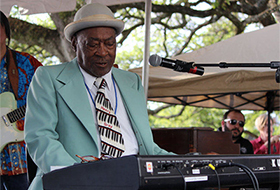 Lamar Advertising Company is sponsoring the legendary Henry Gray Band at the 2013 Blues Gala. The event is Thursday, August 22 at 7:00 p.m. at the Capitol Park Museum. This year's Gala will be honoring blues man Muddy Waters. All proceeds will benefit the Baton Rouge Blues Foundation. Lamar Advertising Company (Nasdaq: LAMR), a leading owner and operator of outdoor advertising and logo sign displays, announces the Company’s operating results for the second quarter ended June 30, 2013.